Do you need Deadbolt locks to be installed in your home or business? Then it goes without saying that you need the help of a residential and commercial locksmith Toronto and this is where you will require the services of A1Locksmith. 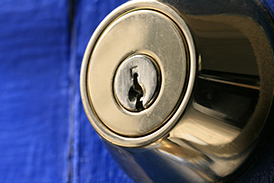 At our company, we pride ourselves on being the number one locksmith in Toronto, Ontario and surrounding area. We’re available on a 24-hour basis to help out our valuable customers no matter what their issue or problem may be. Therefore, needless to say, we are the best assistance you can get with deadbolt locks in all of Canada. If you would like to avail our offerings then make sure you give us a call today at 647-557-6403. We also provide a free estimate to our customers to assist them in making a more sound decision.